"I'm scared, E. Really scared." The thing about urban legends is that they typically rely on a small-town sensibility to sustain them. Those same legends often rely on some sense of the supernatural or unknown to keep them terrifying the locals and Zenescope is big on such terror. Their latest foray into the urban legends water is Satan's Hollow #1. The issue is written by Joe Brusha, illustrated Allan Otero, colored by Fran Gamboa and J.C. Ruiz and lettered by Matt Krotzer. Urban legend tells of a satanic cult that performed rituals in the Ohio woods at the turn of the century. The rituals became more and more disturbing and eventually led to the ultimate evil...a human sacrifice. Legend states the cultists were so successful that they opened a portal that leads directly to hell. Now, twenty years later, the last surviving victim of the cult has returned, but something immensely evil has arrived with him...an entity known only as the Shadowman. The story follows a female protagonist named Sandra making her way back to Blue Ash, Ohio, to wrap up some loose family ends and essentially stumbling upon the town in the throes of an urban legend. 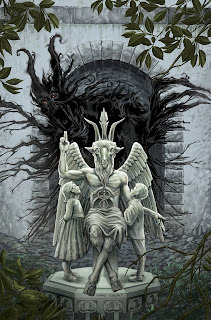 The terror that accompanies an urban legend is generally based in the unknown aspect of it and that's what Brusha capitalizes on in Satan's Hollow #1. The town has bought into the myth somewhat and clearly thinks something more supernatural is at work in the disappearance of a local boy, but Sandra doesn't seem ready to buy in. Brusha gives the setting a slow burn as it builds up the tension to an ending that's poised to direct the series. Brusha's dialogue is pretty concise in moving the pieces into place and the plot doesn't really waste a moment in building up both Sandra and Satan's Hollow as characters. Setting the mood in a town like Satan's Hollow is crucial to making the story more believable and Otero relies a lot on ambiguous, shadowy figures to accomplish that goal. Those creatures do infuse the book with sufficient amount of terror that works in contrast to the relative calm of Blue Ash. The humans in the town are defined by a seemingly calm style that doesn't appear to take any risks, where characters sport basic facial expressions. Sandra does get a little of the Zenescope treatment in her figure and some of her poses/wardrobe, but it's not overtly distracting. The color work by Gamboa and Ruiz does a great job of accenting the moodiness of Blue Ash, painting the town with plenty of blacks and blues at night and an autumnal palette during the day. 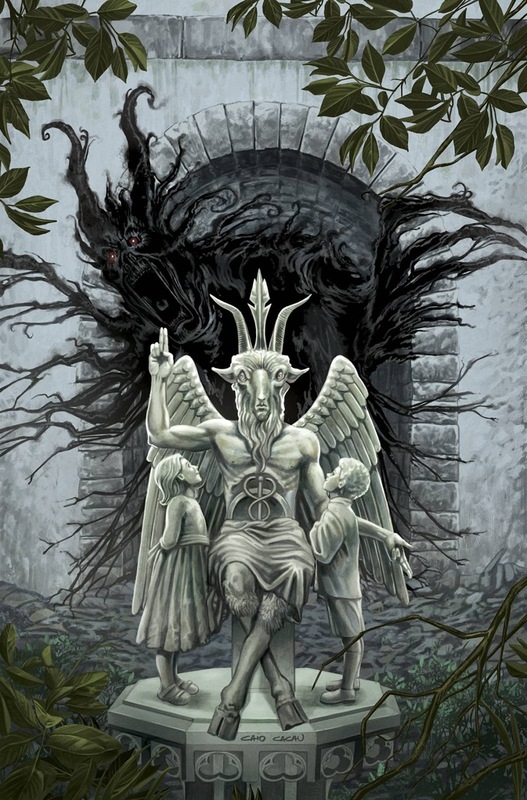 Satan's Hollow #1 is a relatively haunting take on the urban legend. Sandra's story is a good vehicle for the plot to advance itself and delve into the urban legend even more so. Brusha's script is pretty low-key but effective at establishing the stakes for the characters and the town itself. Otero's illustrations are subtle yet tap into the mood pretty well. Satan's Hollow #1 is a new Zenescope series that gives the publisher another chance to delve into the horrors of an urban legend. Satan's Hollow #1 is in stores now.